If you are looking for driveway paver stones installation in Roseville, you have come to the right place at The Paver Company! We specialize in installing driveway paver stones and creating beautiful driveways that perfectly reflect your decorative style while also being completely functional and convenient. Why do I need driveway paver stones installation? 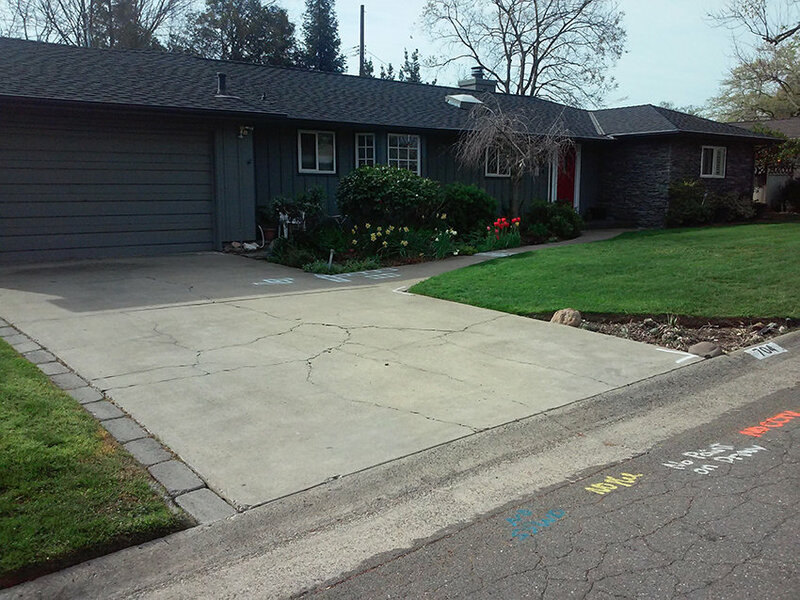 The standard kind of driveway is just plain white concrete. This may be fine for many Roseville homeowners, but your home deserves something special. A paver stone driveway makes your home stand out. It increases the curb appeal of your Roseville home. It is also easier on your car’s tires, which is important since your car spends a great part of its life in your driveway. We offer many different driveway paver stone options, here at The Paver Company. 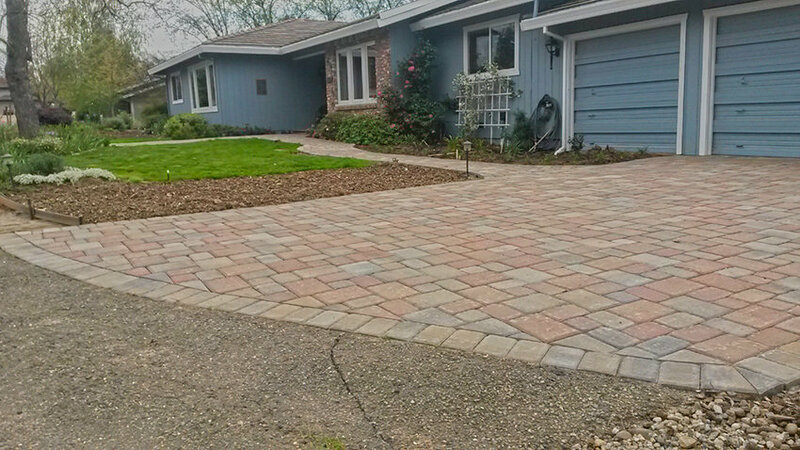 We provide permeable paver stones, which reduce runoff and keep your driveway dry even when the weather is wet (or when you are watering). We have many different textures to choose from. If you want a driveway that is smooth as a pond on a still day, we can do that. If you want a driveway that has a rustic stone texture, we can do that for you too. We also have many different designs we can do with paver stones for your driveway in Roseville. We can do herringbone designs, brick designs, and cobblestone designs. We can also do many different kinds of custom designs that you can choose from in our photo gallery. Whatever kind of look or effect you are going for at your Roseville, CA home, you can find it here at The Paver Company. Give us a call today for your free estimate and find out how to get the paver stone driveway of your dreams!